Hello! 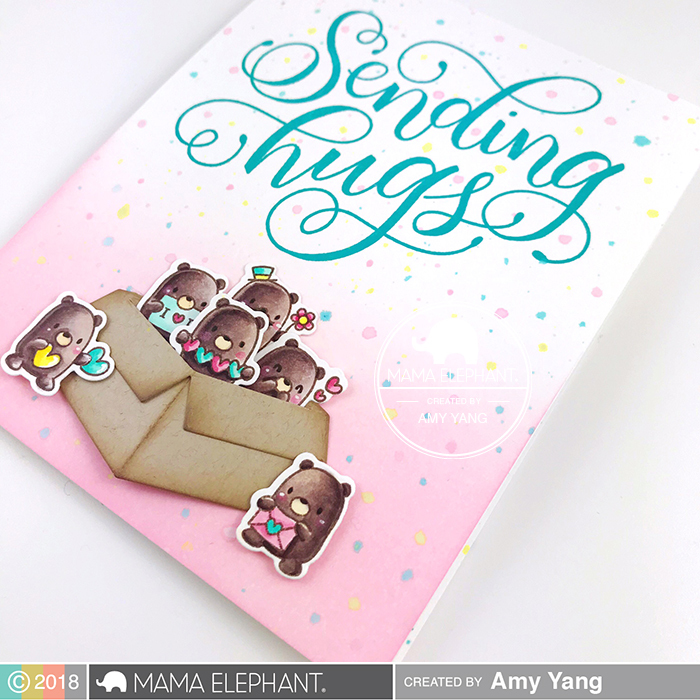 Amy here with a fun designer series project featuring the super cute Little Bear Agenda set. 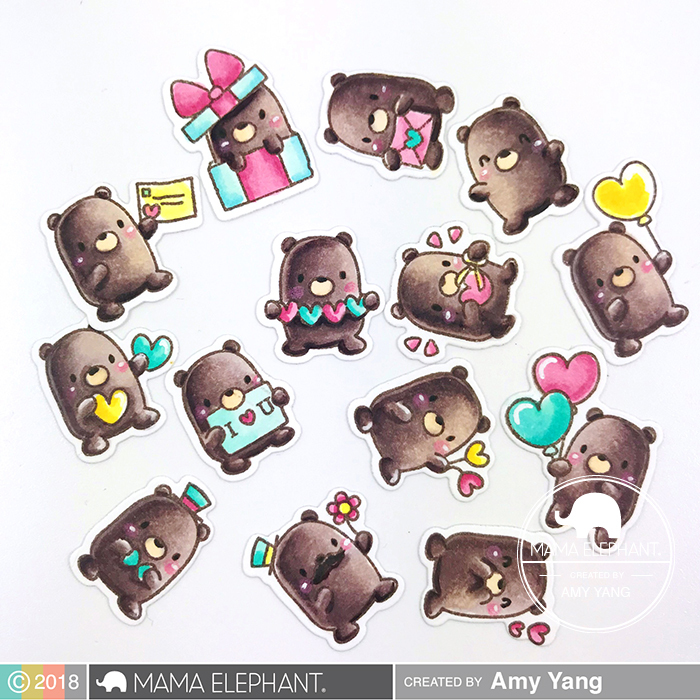 To begin, I Copic colored the bears that I stamped with brown ink and cut them out with the Little Bear Agenda Creative Cuts. To make the A2 sized front panel, I ink blended the bottom and added splatters of ink (diluted with water) using Distress Oxides. Once they dried, I stamped the sentiment from Sending Hugs using Distress Oxides as well. 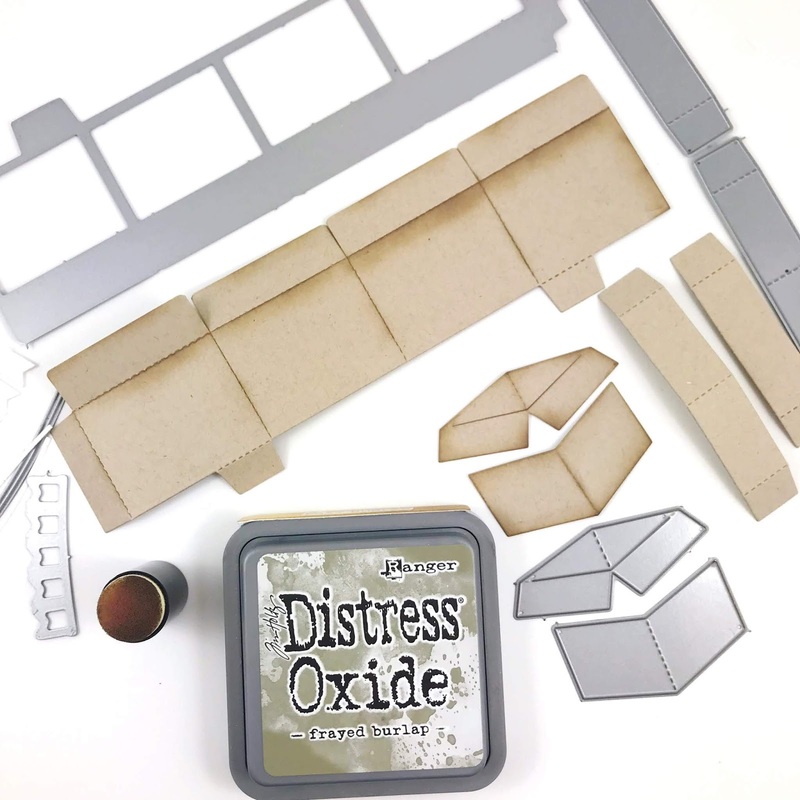 The box in the front was made using the box die from All Prettied Up Creative Cuts. 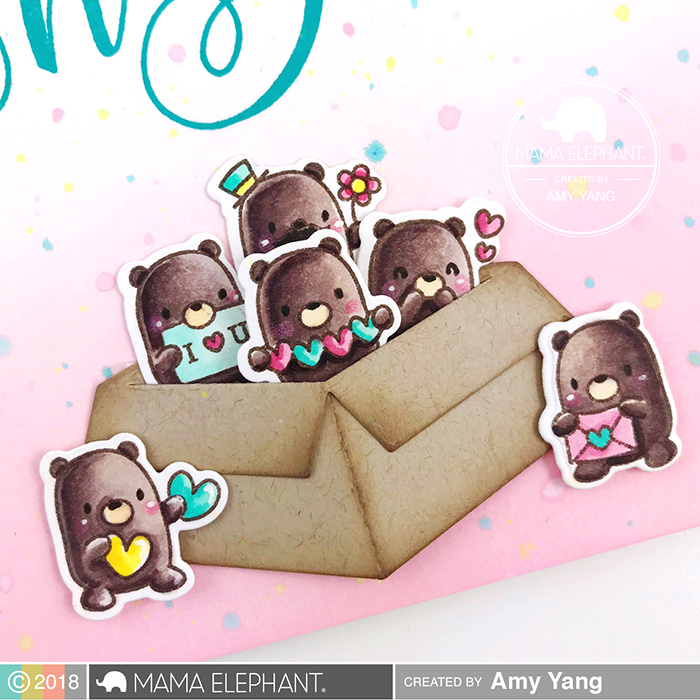 I added the bears inside the box and adhered it to the card front along with the two bears on the outside of the box as shown. For a fun surprise inside the card, I used the dies from the Inside Pop Box Of Fun Creative Cuts. Before adding the die-cut pieces, I added splatters of Distress Oxide (diluted with water) to match the front panel. 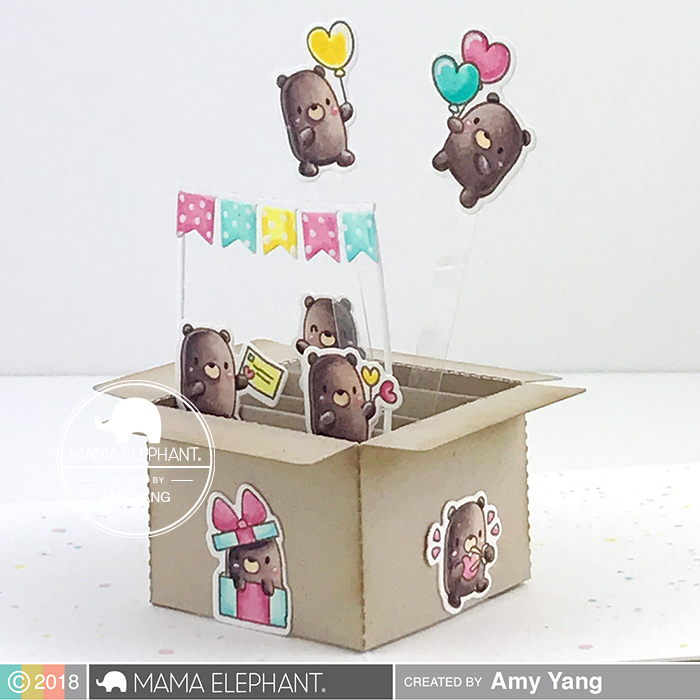 To finish, I assembled and adhered the pop-up box inside the card and added the bears as shown. The bears with the balloons are attached to a piece of acetate to make them look like they are floating. That's it for today. I hope you enjoyed my project, and thank you so much for stopping by! Oh Wow!!!! This is just the SWEETEST card ever!!!! Love this card sooo much. I have had a browser tab with this card on it for several months until I can get the stamp set to case it. 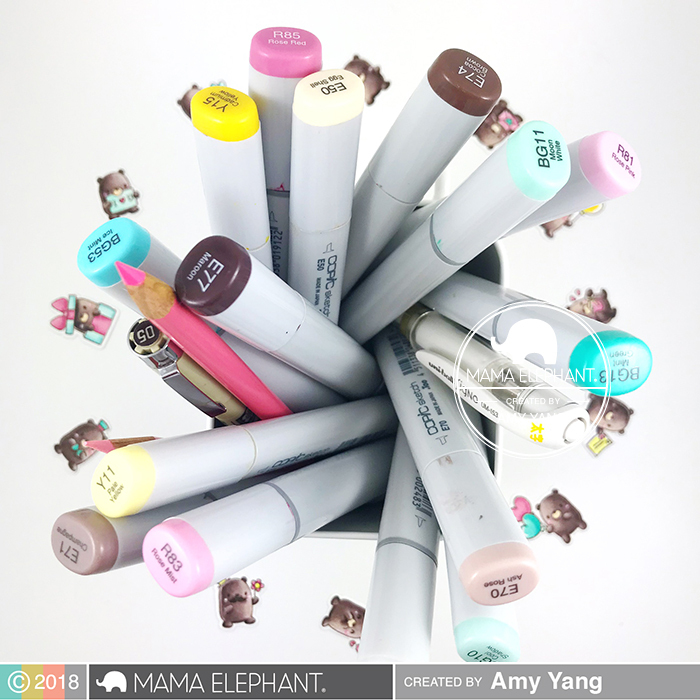 It is sooo cute! Fantastic work!